At first glance this is a clean and straightforward design. Then you notice the fringes attached to two opposite corners. A whimsical touch that adds oomph to the scene. 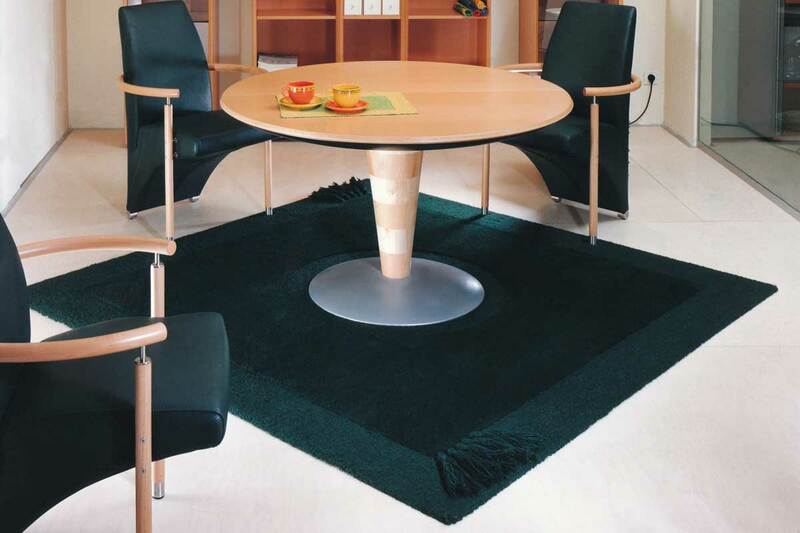 Our custom designed and hand-tufted area rugs always surprise, and our years of experience in designing and producing rugs let us accomplish the most amazing designs.